Stockyard District Residences is a new condo project by Marlin Spring Developments and is currently in pre-construction. Stockyard District Residences architect is designed by Graziani + Corazza Architects. The new project will be located at 2306 Saint Clair Avenue West in Toronto. The major intersection is Weston Road & St Clair Avenue West. 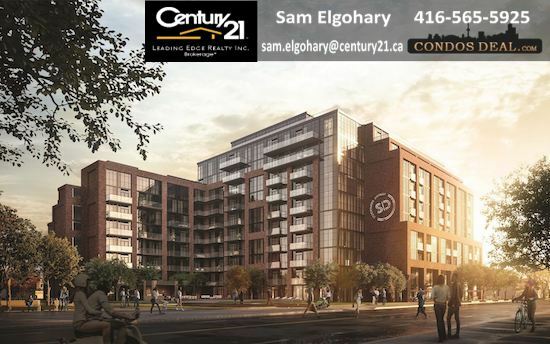 Stockyard District Condos will be a 10 storey tower with 236 mixed condo units. Units will be a mix of one bedroom, one bedroom plus den and two bedrooms. Condos will have units starting from the $400s. The estimated completion date for Stockyard District Condosis set for November 2021. Stockyard District Residences will feature 4,682 SqFt amenity like outdoor terrace with barbecue and firepit, private dinning room, outdoor lounge, spacious lobby, kids play room, party room, gym and indoor lounge. The building will feature 5,844 SqFt retail space on the ground-level. The building will have 2 levels of underground parking with 184 car parking spaces and 267 bicycle spaces. Other projects by Marlin Spring Developments are like WestBeach Condominiums, Tazzo Townes, Canvas Condos and The Mack Towns.